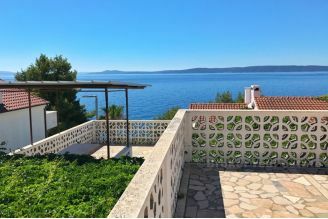 Croatia real estate. 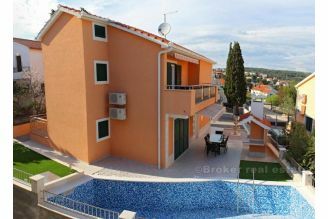 Detached house with garden on Ciovo near Trogir. 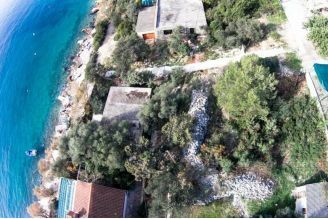 It is located on the third row of the sea and has good access by car. 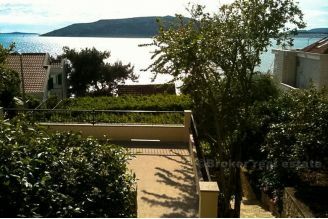 The house has a partial view of the sea on the left and right. 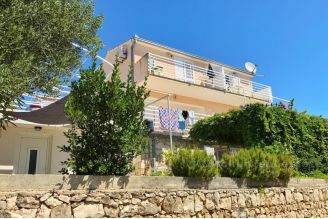 Walking distance to excellent beach with catering offer, shops, promenades ... It consists of one bedroom apartment on the ground floor (basement) and three bedroom apartment on the first floor (ground floor). The ground floor has a nice terrace of 35 m2.The courtyard is planted with Mediterranean cultures. It is possible to move quickly.